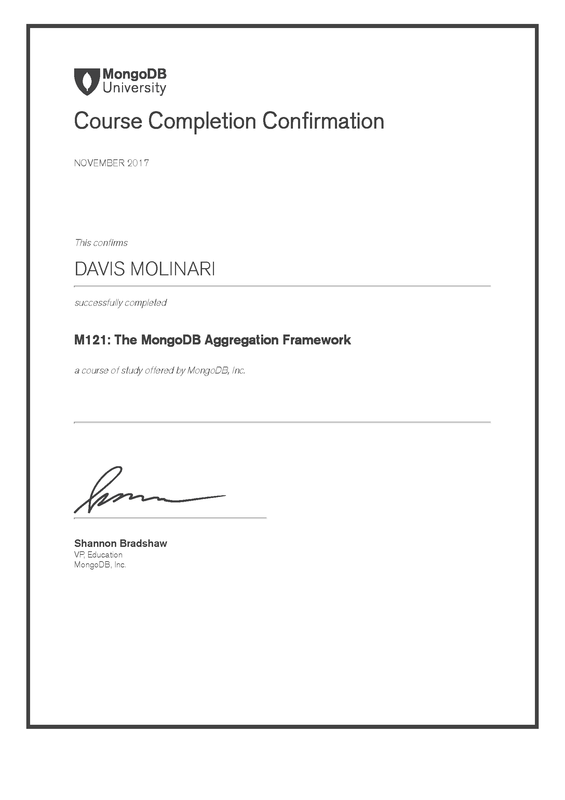 Once again I enjoyed the MongoDB University platform and the effective way it leads to learning, with the right mix of theoretical explanations, practical examples and exercises to get your hands dirty. Aggregation Framework is also becoming more and more powerful and some of the stages introduced with version 3.4, such as those to easily implement faceting navigation features ($facet, $bucket, $bucketAuto, $sortByCount) are really interesting. Furthermore, combining the various stages in an aggregation pipeline to solve complex analysis and queries is like playing with LEGO! Never stop learning is the only way.